Before you take your car to an auto body repair shop know these 10 things. Your car is likely the second largest investment you're likely to make, so preserve its value and your safety by having it repaired professionally at a trusted auto body shop like Sutton's Auto Body Inc.
Never drive a car that could be unsafe because of damages to your Rv, Travel trailer or automobile. We will gladly arrange for your car to be towed our auto body shop located in Yuma, AZ. Some insurance companies may want you to visit their drive-in claims center before having your car repaired. You can do this part yourself. We recommend you leave your car at our auto body shop location and ask that the insurance company come to inspect the car. 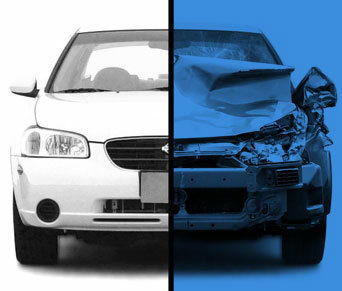 Sutton's Auto Body Inc. works closely with all of the major insurance companies. We keep close communication with insurance companies to advise them of all auto body repairs that need to be done to your vehicle. As a consumer, it's nice to know that there is no law that requires you get more than one auto body shop estimate or appraisal on your vehicle. You have the right to get as many auto body repair comparison estimates as you’d like in order to help you make an informed decision about your collision repair options. You have the right to take your vehicle to the collision repair center of your choice. Your insurance company cannot require you to go to a preferred shop. Your insurance company usually can recommend a reputable repair center in your area, including Sutton's Auto Body Inc.. Differences in auto body repair estimates are common. A lower estimate may not include all necessary work. If you’re not sure why one estimate is different from another you’ve received, just ask a friendly service advisor at our yuma, AZ location. Choose RV repair center or auto body shop in Yuma, AZ that has a solid reputation and comes with a trusted recommendation like Sutton's Auto Body Inc.
Make sure you choose a collision repair center that has the advanced equipment and systems used to remove and re install frame, suspension, engine, and drivetrain components as well as provide other essential collision repair services. Sutton's Auto Body Inc. location has the latest equipment and training necessary to repair your car to its exact factory specifications. 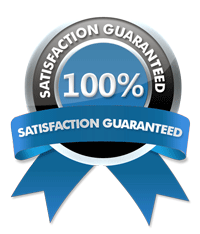 Make sure that the collision repair center offers a warranty. Sutton's Auto Body Inc. offers every customer our industry-best warranty that protects you for as long as you own your vehicle. Let us help you work with your insurance company. Sutton's Auto Body Inc. has established positive business relationships with virtually every auto insurance company. Our ability to "cut through the red tape" ensures a smoother, faster repair process. Ask the repair center to pre-arrange a rental car. Since the average car is in the repair shop for two weeks, ask if the shop can make recommendations for a rental car company and if they can arrange for a replacement rental car to be ready when you drop off your car. Sutton's Auto Body can help you arrange a rental car for you through Enterprise or we can direct you to the nearest Enterprise car rental location and help set you up with a rental car.